Without Daniel Bricklin’s innovative software, would Apple have found success? Long-time Bostonians remember 1978 as the year of the big February blizzard. But it was also when the modern biotechnology and software industries began to take shape in Cambridge. You’ll no doubt read lots of recollections of the snowstorm as we mark its 40th anniversary, but let me explain why ’78 marked an important turning point in shaping the state’s innovation economy. All we need to do is walk about a mile — from the campus of Harvard Business School on the Boston side of the Charles River to Divinity Avenue on the Cambridge side, near the Harvard Museum of Natural History. In 1978, high-tech in Massachusetts meant mainframes and minicomputers — not PCs. One of the biggest tech companies in the world was Digital Equipment Corp., headquartered in Maynard. 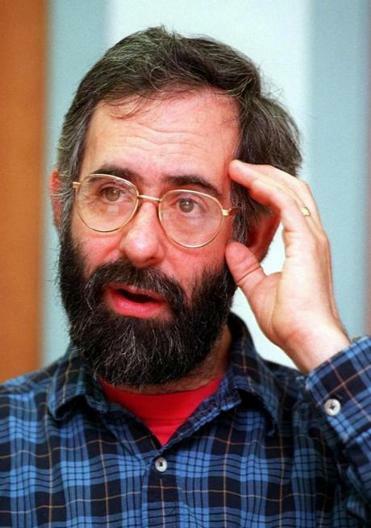 An MIT alum named Dan Bricklin took a job at Digital because, he says, he failed to land a spot in a top computer science graduate program. At Digital, and at MIT before that, Bricklin had been exposed to software for both word processing and newspaper typesetting, so he knew how easy it could be to add or remove text on a computer, and see the rest of the document adjust automatically. Bricklin eventually did get accepted by a grad school, and while at Harvard Business School in 1978 he had what, to him, was a pretty obvious idea. When students made a tiny mistake calculating the expenses and revenues of a company— using pocket calculators at the time — they had to go back and start over. Why, Bricklin wondered, wasn’t doing math more like doing word processing? “I sort of imagined a magic blackboard, where when you erased one number, everything recalculated, like word processing,” Bricklin says. “I had this image of an idea . . . word processing the numbers.” He created a prototype version in the spring of 1978, using one of Harvard’s Digital minicomputers that sat “down in the basement,” he recalls. Bricklin’s idea evolved into a $100 software program called VisiCalc. It was the first electronic spreadsheet software, and VisiCalc initially only worked on computers made by a Cupertino, Calif., startup, Apple Computer. VisiCalc was the first software package that gave small businesses and sole proprietors a reason to buy a personal computer, so they could do basic bookkeeping. VisiCalc was eventually superseded by products from Microsoft and Lotus Development Corp. Both had ties to Cambridge: Microsoft was conceived by Bill Gates and Paul Allen in 1974, after Allen bought a copy of Popular Electronics magazine in Harvard Square and saw that the era of personal computers was dawning; Lotus was founded by Mitch Kapor, a former programmer at the company that distributed VisiCalc. Lotus was headquartered in Cambridge. It introduced an early business e-mail system, Lotus Notes, and grew to about 5,500 employees before it was acquired by IBM in 1995. By that time, Cambridge had a strong reputation as a place to start and grow software companies that aimed to address business headaches; today, big employers in the city include HubSpot and Pegasystems. As Bricklin was prototyping the first version of VisiCalc in 1978, Harvard was preparing to open a new science lab on Divinity Avenue. It would allow researchers to work with recombinant DNA, combining genetic material from multiple kinds of organisms, and it had been controversial from the moment it was proposed. Cambridge’s mayor, Alfred Vellucci, spoke out against it repeatedly. He worried that scientists would create some kind of Frankenstein monster in the lab that would threaten citizens. Luckily, rather than banning the work with recombinant DNA, as some had advocated, Cambridge instead formed a committee to study the risks — and potential benefits. In 1977, it became the first city in the world to issue a set of regulations for working with genetic material. Perhaps appropriately, the Harvard lab that touched off the whole debate opened around Halloween 1978. Gilbert was also one of the scientific founders of an early biotech company that was incorporated in Geneva, Switzerland, in 1978. “We had $750,000 in initial funding from the venture capitalists, but only $375,000 of it was in cash,” Gilbert recalls. The company was called Biogen, and it eventually opened a lab in Cambridge in 1982. By that point, Gilbert had both won the Nobel Prize in Chemistry for his work in DNA sequencing in 1980, and also taken over as Biogen’s chief executive the following year. Mayor Vellucci was present for the lab’s ribbon-cutting. “Cambridge was the obvious place to put it,” Gilbert says, “because we’d been through this discussion before,” referring to the debate over safety regulations. Today, Biogen makes drugs for multiple sclerosis, and it is developing potential treatments for Alzheimer’s disease. The company has about 2,100 workers in Cambridge, now its global headquarters. In fact, most of the 25 largest employers in Cambridge — aside from the universities and hospitals — are in the business of developing biotech drugs or software for businesses. In biotech, Cambridge is regarded as the leading hub anywhere in the world. In software, it is home to branch offices of Microsoft, Oracle, and IBM, among others. And it all traces back four decades, to 1978.